In the midst of heartache, I struggled everyday to keep a smile on my face. It had been 30 years since my first love had died, and I still could not get through the day without crying. “Why?” I would ask myself, slumped over the bathroom sink, in the morning getting ready for work. “Why am I still dealing with this heartache?” I would then pull myself together and go to work, and go about my day, moving forward until again, something reminded me of him and I’d grieve again. In all of my 48 years, I was never able to fit in. Everyone was always so cold, and different than I was around where I had grown up. I spent most of my time outside in the beautiful land, with the plants and animals in the backwoods of southern Michigan. The last 30 years had become so lonely, even though I had surrounded myself with many friends and animals. Nothing could replace the love I had lost so many years ago. One evening, while making my spaghetti dinner, I realized that I had no pasta. I meant to pick it up on my way home from work. I said to myself, “I am not doing anything else and it is a lovely evening. I will run to town.” I got into my Ford Ranger, cranked up the country music, and away I went. While on my way to the local market, I was in a rush, to simply get back home to taste a plateful of spaghetti. I got to the curve, the curve I had drove hundreds of times. I went to smoothly take that curve while the music was taking me into a world of my own. Suddenly there was a man looking right at me in his green sports car. I thought I had never seen this man before. He looked at me as we passed, and I felt as if he was looking through me like he knew me. As it had turned out, this man was a son of my parent’s friends. I had also worked with him when we were teenagers. In the past several years since I had come back into town, he had tried to date me but I kept telling him no. I was not ready because of my broken heart. When we passed on the curve and looked into each others eyes, I knew that we connected. I called him that night. Something about him that day, the way he looked at me, made me realize, that when one part of your life ends, another part of it begins. We have now been married 15 years. My advice? If you lose a love, keep going. Enrich your life with beautiful things. Don’t give up on love. It will find you again. Missy Marshall. I started out a career as an Assistant tree Farmer persuing a degree in the sciences. Half way through my journey, I lost my first husband to a car accident. I continued my education, changing my majors to Psychology and writing. I then lost my 2 best friends within 3 years of each other. Shortly after, I had to overcome a stroke, an auto accident as well as deal with my loss of my loved ones. After being forced into early retirement, due to medical issues, I decided to become a freelance writer and photographer. 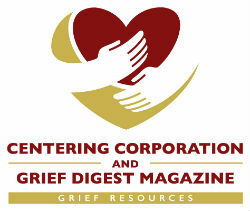 This helps me express my grief in positive ways. I also have a son, also a Freelance photographer. My husband and son encourage me to never give up.